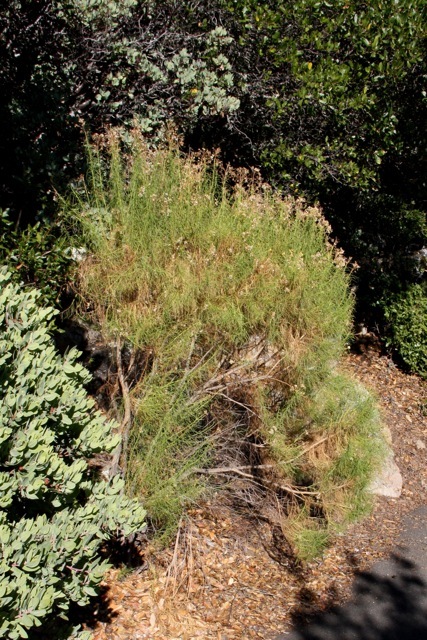 A leggy shrub is common in the scrubby chaparral atop the east peak of Mt. Tamalpais. Right now it is dressed in puffy tufts of seed heads and the last remains of unobtrusive yellow flowers. It has lemony-green, needle-like leaves that release a pungent smell when crushed. This is goldenfleece, or Ericameria arborescens. It’s endemic to California, and is an important part of the chaparral community, growing up to 9,000 feet. There is also a near-total lack of information about it. 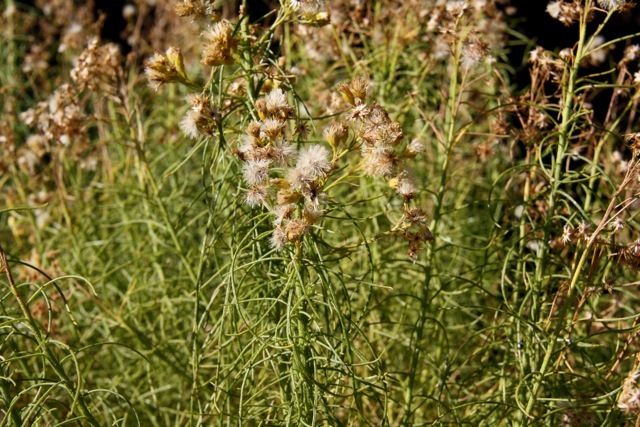 Goldenfleece is one of the few plants that appears to not have been used for much traditionally. “While of no grazing value, its abundance is noteworthy,” one text reports. It has never been investigated for medicinal value. Native Americans bound hot stones and the twigs of closely related species onto sore feet to relieve them; leaves were used to make a plaster for blisters. But no uses are recorded for goldenfleece itself.